Tom Ford, the genius who can turn his hand on anything and make it stylish. Say it films, fashion or what we are focusing on, cologne. There’s a bunch of names I can say who has left a mark on the fragrance industry. Christian Dior and Saint Laurent are some best ones. But a very few have the ability to put such impact in so less time like this director, designer and now, one of the most renowned men in the universe. His wardrobe is full of the collections that he edited with grace. All of these are categorical and lavishing that would make any men’s personality glow up. Today, as I mentioned already, we about discuss some of the most successful cologne inventions by this genius fashionable statement maker. I’ll include ten best Tom Ford colognes that has taken the world of men fashion by storm. Don’t worry if you are not so quick to pick a right cologne that matches your aura. I’ll keep my thoughts written below to help you out. There would be a simple to follow guide that should make you choose the right Tom Ford cologne for your persona. Let’s jump into the world of fragrance! Let me review one by one some of the best smelling tom ford colognes the market has got for you. Please make sure to understand what goes well with your lifestyle and choose depending on that fact. I would be including some valuable information later after these reviews to make you meet your perfect scent. Not every fragrance is going to suit you even if each of them is really good. That’s why you need to know some rules to tell what matches your aura the best. 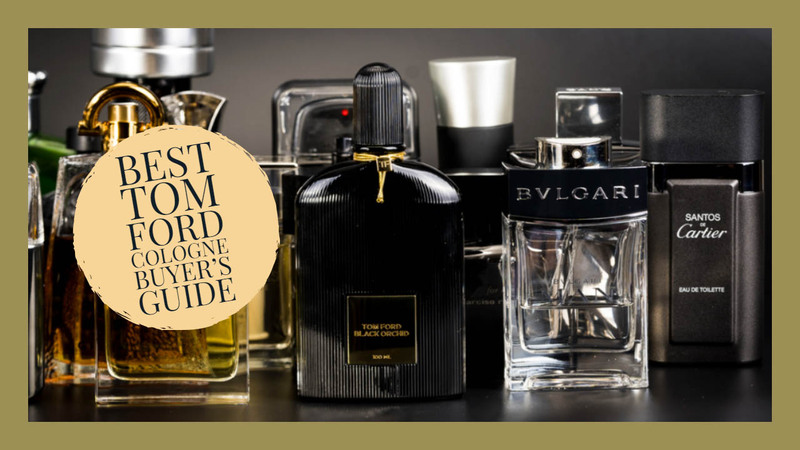 For now, let’s have a trip to ten fascinating and lavishing smell pieces from Tom ford that are the definition of a perfectly smelling man. 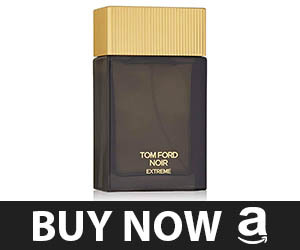 The Tom Ford noir extreme is an excellent choice of fragrance that any men would love to have in his closet. It comes from the latest noir extreme series that has become one hype lineup of Tom Ford for its brilliance. The noir extreme eau de parfum comes in a 3.4-ounce bottle. That’s a good amount of size for both who use it regularly or decides to go for occasional usage. The fragrance is fantastic and perfect for both men and women. This unisex cologne comes with a few versatile smells that go with any mood and any aura which makes it a perfect pick. But most men would love to wear it during the evening since the smell is somewhat sensual and perfect for dates and night outs. It’s going to be the cherry on top for a perfectly dressed up men. The smell lasts for two to three hours which is a good thing. However, people who want to pick a smell for a long time smelling would be slightly disappointed. But the major nice thing is that the smell still does not completely fades up. Instead, it lingers with a sweet and light scent. A great smell for night out and dates. Last for a good time period. Unique warm but the spicy smell. The 1.7 Oz spray fragrance from Tom Ford suits any skin type and most men would prefer the unique flavors this smell includes within. It’s one of the best and last longing fragrances that you can have for a mind-blowing attraction. It’s a perfect fit for occasions where you are expecting to make one of the best memories. Like a pure blend of fragrance, this cologne suits any mood and atmosphere perfectly to make an everlasting impression on other people. The main ingredients for this designer fragrance are lemon, sweet orange, and gingers. The combination also includes a bit of peppercorn to add variety. There pipe tobacco and patchouli as well to make the smell seem like a serious person’s characteristic. A very masculine smell that goes with any situation. A flawless choice for bug occasions and anniversaries. Comes with a very nice combination of ingredients. The size won’t be enough if you are a regular user. This 100ml EDT Spray from Tom Ford is a big bottle you can buy for a classy and luxurious looking statement that will go a long way. It’s one of the most popular choices for men beauty and personal care product. It comes from the signature line up that’s known to be budget friendly as well as masculine in scent. The fragrance isn’t too overpowering that seems obvious for attention. The combination of pure essences such as mandarin oranges, orange blossoms, lemon leaves, violets, ginger, cedar, and grapefruit give sit a distinct smell that radiates with class. To the direct smelling sense, the fragrance seems something like woody and citrus. It’s extremely appealing and perfect for a dinner look. It’s one of those colognes that you can use as your regular go-to smell and feel comfortable with any occasion or situation. A cologne enthusiast must have this fantastic fragrance. It’s a great choice for a complimenting get up that’s also going to be a bit nostalgic for any men. The price is affordable for most men. It comes with nice packaging. The essence is really good for the skin. It is suitable for any get to gather or occasion. The smell does not last for a whole day. The Tom Ford Tobacco Vanille comes in a handy 50 ML size that goes well with men who need a smell for occasional usages. It’s the appropriate mixture of essences that is suitable for your special days and best memories. This is one of the finest choices that would satisfy most men’s taste. It comes with a very nice and classy fragrance that any fashion conscious men would love to have in their collection. It’s a great pick that gives you the best masculine scent which goes for any mood or any environment. The compliments would be flooded on you and the whole thing would bring a great joy on your face certainly. If you are looking for a gift to impress your boss or the men in your life then definitely it’s pro-choice. Most men who associate with great power sense has a soft feel for the fragrance it holds. However, if you are a light smell lover than this might not be a so great choice for you. It’s also not suitable for regular use since the cost is quite high. But for huge deals and parties, it’s going to be the perfect scent you can wear. The best fragrance ever from tom ford according to many users. It’s long lasting and spreads well. The amazing combination of spiced vanilla with a bit of cedar. The Tom Ford grey vetiver cologne is a 3.4-ounce fragrance spray goes well with any men from any taste of smell. It’s a very simple but sophisticated smell that keeps you down to earth for the looks. But also it gives you strong stunning presence in a group of people. Tom ford grey vetiver is a designer men fragrance that’s perfect for your regular casual usages. It’s one great pick for everyday look and office purposes. It’s important to have a good impression when on a meeting or simply a big presentation. The smell is light and does not distract people but instead gives a very subtle cozy feel. Moreover, the cologne is very long lasting. The manufacturing is smart that keeps in consideration the fact that this cologne is made for regular usages. So when you wear it for the whole day, it does not simply vanish in a few hours. This grey vetiver cologne also contains some of the most high-quality ingredients within. The fragrance gets muskier with time which I absolutely love. It’s a textbook choice for warm weather and fresh looks. The ingredients are well balanced. Gives a subtle but impressive feel. It’s a perfect pick for summertime and warm weathers. The size is good enough for regular usage. The Tom Ford Noir cologne is a 3.4 Ounce perfume spray edition that comes with the ever attracting vanilla flavor. The spray perfume gives you a refreshing and soothing smell that is one of a rare cologne that you can own. The fragrance is a new made cologne from the hyped and popular Noir series. This is one of my favorite cologne that emphasizes every note equally. The fragrance would seem somewhat peppery in a good way. It gives you the feel of nature and keeps you simple but stunning in any gathering. The flavor instantly changes into light vanilla that’s one of the most favorite bases of the essence of most fragrance enthusiast. This essence goes well with casual, showy and any kind of outlooks which is the most fascinating thing about it. Also, the clean fragrances last for a very good amount of time. Never was it overbearing but enough strength to leave a mark. A simple but gorgeous smell to wear. The fragrance is very suitable for most occasions. The smell is long lasting for whole day use. Gives your outlook fresh and clean look. The Tom Ford Grey Vetiver is a small 1.7-Ounce cologne that you can have for any season looks. The down to earth fragrance is woody and nice to smell. It’s one of the best combinations that includes freshness and masculinity. The fragrance has a very nice lasting effect. It goes pretty well for the whole day usages. Never did I feel that it loses the smell. Even during the very last moment, you’ll get a nice smell. The genuine product come with a very affordable price. At least comparing to other colognes from Tom Ford, this one is quite inexpensive. It’s one of those smell that you would like to have as your signature one. If you have thoughts of giving a men gift, this should be a good idea. The smell is overall, a bit mature, fresh and totally distinctive that’s sure to catch people’s attention. It comes with a very attractive smell. Reasonable as a designer cologne. Perfect for any occasional usage. Goes well with any season outfit. It is one of the best gift material. Mid age men might not like the feel. 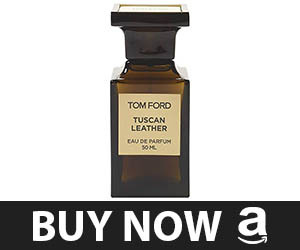 The Tom Ford Tuscan Leather Cologne for Men comes in a very convenient size of 1.7 Ounce. This excellent quality luxurious cologne would give you the feel of being rich. The cologne comes from the very rare and unique, tom fords own private blends and uses, the private blend series. This is a very popular and rare cologne that you can own. The price is the only factor you would want to worry about. Since we all know by now that private blend series are quite expensive. So that’s the only hinge. However, if you can afford this beautiful smelling fragrance then there’s no doubt you are ought to enjoy one of the best smells in the world. It comes in very nice packaging. Since the price is a bit high you won’t be using it every day. So the amount in one bottle is quite enough to last for a good period. A luxurious feel to glow up presence. An elegant tom ford collection smell to get. The smell is exotic and beautiful. It’s suitable for big events and huge matters in your life. A rich leather feels with a nice sweet aroma. The Tom Ford oud wood cologne is a 3.4-ounce perfume cologne that comes with the fragrance of woods. It’s a perfect fit for men who love the fresh, manly and earthy smells. Tom ford oud wood is also from the very rare and unique private blend collection that is quite pricey. But if you focus on the smell and quality the price seems nothing. It’s wonderful! The kind that gives you an instant approval from people of class. If you want to impress your boss or simply win over a man’s heart, this could be your ticket. Gift it to them. Spend this amount of money and get a smell that’s actually one of a kind in the fragrance industry. Good news is this cologne is not only limited for men. It’s actually a unisex perfume that both genders can equally enjoy. So if you are going to buy it for yourself than congrats, your spouse is also going to love you for that. Excellent quality of fragrance with good ingredients. It comes with an earthy and woody smell that is very charming. Gives you a sense of confidence when in big gatherings. The packaging is good enough to last a long period. The price is a bit too much. Not appropriate for regular usages. The Tom Ford eau de cologne Toilette is one of the rare combinations from the designer that comes with budget and quality. So if you are short on budget but want to enjoy a branded good, here’s one for you. First of all, there’s no tester. It’s one of the colognes that also come with skin maintaining benefits. It’s not harmful nor allergenic to any skin type and most people would find it suitable for their conditions. The price does not affect the quality. I mean it’s not like those cheap axes that also smells cheap. The fragrance speaks for a well-known, classy man. It’s that charming! It comes with lighter notes and a nice black bottle packaging. The fragrance goes well with regular life and office looks. Even when you go for a dinner date, this smell is going to make your women go crazy and head over heels for you. Really budget friendly for any men. Goes well with most occasions. A perfect cologne for regular usage. Quite long lasting for the whole day. Comes in a nice amount to go a long way. Not for men who looms for strong smells. There are some rules you should follow to pick the right cologne that suits you. All Tom Ford scents smell amazing and there’s no doubt to the fact. But not everything suits everyone. So you should be able to find a thing that goes well with your lifestyle and persona. A man would have an impression on other people based on his smell. Don’t make the first impression go in vain by choosing something that does not speak about your preference. Here are a few things that should help you out. This is a fact you absolutely cannot ignore. It’s even proved scientifically. Men would get the best use of a cologne that matches his own body scent. You should be looking for something that feels just like your natural odor. You know pretty well yourself. Only you can decide if a cologne has a scent that goes well with you. Focus on the extracts of a particular one, which you like. Don’t just get a bottle just because it sounds luxurious. You need something that balances your whole personality and yet don’t feel like overdo. There are some people who are going to judge the scent you pick only because you love challenging smells. Tom Ford is a man who has a huge collection that only breathes in edgy and stand-out-from-the-rest pieces. So if you are going to pick one from his collection, be sure to be confident about your choice. Only when a lot of people have the same negative reaction to your smell extract preference, then consider choosing a different type. 3. Focus On Your Preferred Ingredients. Not every cologne would smell nor feel the same. So you should have some preference and check out extracts that you like better than others. A few love to go with woody, earthy smells. While some men would prefer fruity smell more attractive. Also, there is a vast fan base for tropical ocean extracted cologne. Remember one thing! You’ll be the one who is going to smell your cologne the most. So be sure you like it. I’m not saying that a Tom Ford cologne will sell you junk in a pretty bottle. But the fact is, you just cannot buy a cologne based on what the bottle looks like. I have seen so many men who decide that cologne is good enough to suit them only because the bottle looks fancy. A fancy looking bottle might have a really nice smell, especially if it’s from Tom Ford. But what if, the really beautiful smell for others does not go well with what you find attractive? This is a very common scenario and trust me, it would happen to you if you don’t avoid judging a smell based on bottles and packaging. First and foremost, make sure the smell goes with you. Be sure it prices something that you afford. Go for all the basics and check them out one by one. Finally, if you have a few models on your mind that suit right, then choose whatever bottle or packaging you prefer. Remember, a flashy bottle won’t make it great, the smell should speak for you. There are so many fake models of Tom Ford colognes. You should be extra cautious you don’t get into those sources. There are huge customer complaints about just being deceived by a fake cologne because they were too thrilled with the cheap discounts to notice the bug. When you decide to pick such a lavishing brand cologne, it makes no sense to look for cheap prices. They are going to cost somewhat pricey. But if you consider the quality then you will find that the price is actually affordable. The end line is you should not run after discounted price but double check the source you are getting it from. 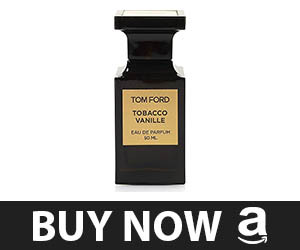 I would suggest you visit Amazon to get genuine Tom Ford colognes. The most fascinating part about this source is that you’ll get a refund if there’s a problem. That’s what I call a safe purchase! Colognes come in different bottle size. But most would range from 1 to 3.4 oz. If you are a person who likes to use the same fragrance for a long period of time then go for big sizes. However, choose a small package if the case is not what I just said. Another factor is if you are buying for the first time and have no idea how the cologne would smell on you, go for mini sizes. This way you’ll be kind of safe with your money. The smaller bottles would also go well with men who wear fragrances occasionally. Most colognes would come with the three-part life cycle plan. Imagine a pyramid that evaporates. The top of the pyramid slowly gets invisible once you reach the very base. The sections individually would hold some scents or notes that blend together to match what you smell. Most fragrances would come with three dissimilar types of notes. These are known to be top, medium and base notes. The top note is basically a smell that is light. These type of scent would hit your smelling sense right after you apply it. Most of the time this category lasts from fifteen to two hours. The very common and popular top notes are powdery, fruity, marines, floral, citrus and spices. Then comes the medium note. It is also known as the heart note. This sections would show you the exact and main element of the smell. It develops right after the top note clears. Most of the medium notes last from three to five hours once you spray. Medium notes are basically built with top notes. This section includes fragrances such as grass, stone, jasmine, cloves, and some fruity scents. Then the final note is known as base notes. It’s the last one to develop a fragrance. These are basically bold in scents that become more noticeable later in a day. The base note is the foundation of your fragrance. This determines how the fragrance would last on you. Most of them usually last from five to ten hours. The base note includes moss, vetiver, tar, leather, tobacco, sandalwood, vanilla and musk fragrances. To figure out the Best Tom Ford cologne for your needs, I want to focus on two types of buyers reading it out. You may be someone who is fanatic of luxurious fragrance or just a casual buyer. I’ll be considering the fact that the readers come from different pocket depths. So to make it easy, I want to split the whole thing into a few specified sections. The first one is a collection of premium private blends which is of course expensive. The next one is a better accessible signature series of cologne. There would be three more mini sections as well after these two prominent collections. This is tom ford’s very own experimental and lavishing collection. It got launched in 2007 and the designer has shared his thoughts on it. He says the collection is full of genuine fragrances. It’s totally different and out of focus from the mainstream fragrance creations. Fashion enthusiast and renowned critics have called the collections challenging, thought-provoking and a slightly edgier. Most of them would give you the starting feel of extracts such as tobacco, leather, gardenia, black violet, and amber. The private blends are restricted to wilder experiments. But to the wider market, the most successful colognes come from the signature series. These are specially presented and honed for the general public. Of course, this series combines with some of the most affordable Tom Ford colognes. But that does not mean all of them are cheap. You would still find some models such as grey vetiver and extreme to be quite expensive. The higher priced counterparts are demanding because they smell like bliss. If I had to describe the Noir collection form Tom Ford I’ll say “A Perfect Blend for Evening-Suitable Temptation.” There are four colognes in this series that are each very different but charming. More like distant cousins with the same surname. The four colognes come with different feels. One gives you the connection with a warm and powdery feel. One gives you a light citrusy punch. Others two include smoky and woody to earthy, rose and spicy fragrances. The last one falls under the private blend collection though. Who does not like the classic? They are evergreen and forever favorite of any fashionista. 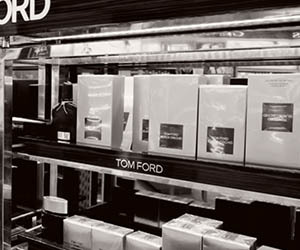 Tom Ford is a fan of classic and vintage fragrances. His love was shown on the Portofino line up. Here he includes some of the simple colognes with outstanding feel. It’s more like the first love of any fragrance fanatic. The series holds colognes made from aromatic herbs, citrus fruits, and other light smells. These are the best Tom Ford cologne for summertime use. These gives you a fresh but manly aura. There’s a very little number of odor lovers who don’t crave for that pure earthy smell. Oud is a lineup that combines wood and earthy feels in the blends. It’s one of the massive expanded successful series from Tom Ford. Men have a soft spot for woody smells. Because this gives them a bold and manly feel. This series is such a hype now that it’s one of the very rare ford colognes to come up with separate ancillaries. It includes beard oil, shower gel, and body lotions. The fragrances come with floral, spicier and smoky wood and salty marine flavors. These fragrances work best in any season no matter what occasion. Every man would love to have one of these two complete their perfume cabinets. No matter what collection you get interested in, there’s no denying that Tom Ford is the epitome of good taste in fragrance. The perfect construction and polishing make it a flawless thing for any fashion conscious men. A fragrance or cologne won’t last forever. There are elements such as heat fluctuation that happens rapidly and effects on the expiry. These are often found on bathroom spaces. They tend to cause the molecules of a particular cologne to break apart. The same goes for sunlight. So you can’t store them in the window still storage or anywhere near the sun. If you want to expand the life of your bottle then find a dark, dry and cool place to store them. The most perfect and suitable spot is your closet. He is one of the most prominent American fashion designers. Tom Ford has always created a wow factor in whatever he makes. The style and grace he has in his creation are unmatchable and same goes for the cologne series he launched time to time. Smell is one of the most powerful sense that human has. So putting an impression with a good scent on the other people you are meeting in regular life is really important. Say it for professional or personal reason. Your women would love the feel when you smell good and you’ll have an impact on your work and friend squad as well. So wear a fragrance and express yourself with grace and style. Any cologne from these ten Tom Ford cologne would be a fantastic choice. There’s no way I can announce a winner since I’m head over heels for these designer fragrances. Just make sure what you wear goes with your impression and makes you memorable. Good Luck!